What are your health care policy priorities in 2019? 2019 will likely be a wild year for the policy, politics and business of health care. The big picture: Here are the big trends the Axios health care team will be watching in 2019. They'll have an impact from K Street in Washington, D.C. to Main Street in your hometown. The pharmaceutical industry has a lot to fear from Washington this year. What had once looked like a friendly administration has taken a more combative turn. The security blanket of a Republican House majority is gone, and the Senate may not offer as much protection as it used to. A sweeping bill to cut drug prices remains a long shot, but legislation isn’t the only consequence of divided government. Perhaps most importantly, pharma won’t have as many allies on Capitol Hill to help it fight the Trump administration’s most aggressive regulatory proposals — some of which pack a lot more punch than anything Congress is likely to do. 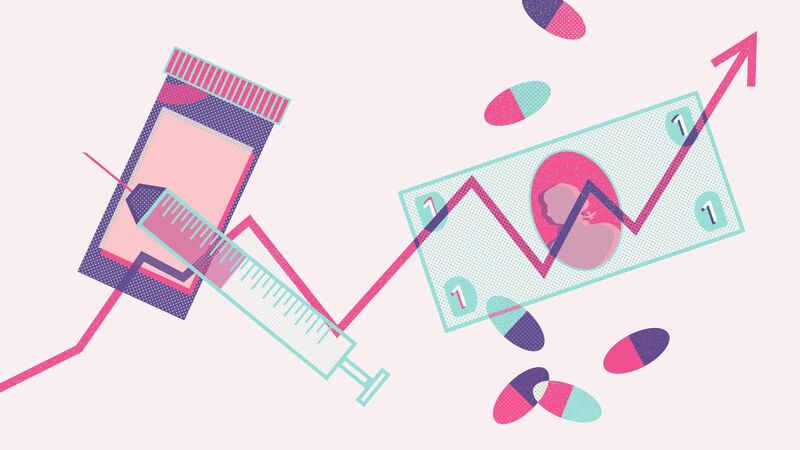 Adding fuel to the fire, drugmakers are poised to resume the price hikes they partially paused last year, and new therapies are expected to come to market with seven-figure price tags. All of that can contribute to a political environment that's already looking less friendly than anything pharma is used to. The Affordable Care Act is almost a decade old, and yet we'll spend 2019 still wondering whether it's here to stay, after a federal judge ruled last month that the ACA's individual mandate is unconstitutional — and that the entire law must fall as a result. Why it matters: The scope of Judge Reed O'Connor's ruling is staggering. If the entire ACA is ultimately thrown out, as he called for, millions of people would lose their health care coverage, from the exchanges as well as the ACA's Medicaid expansion. People with pre-existing conditions would once again face coverage denials and higher premiums — primarily a big deal for them and their families, but also not a small deal for the 2020 campaign season. What's next: That ruling will be appealed to the 5th Circuit Court of Appeals — the most conservative appeals court in the country. From there it would go to the Supreme Court. Again. The same question we posed at the start of 2018 is just as relevant going into this year: Is the never-ending cycle of health care consolidation good for patients — for their wallets and the quality of their care? The big picture: A persuasive body of research shows that hospital system mergers and hospital acquisitions of doctor practices raise costs, although the American Hospital Association argues otherwise. Combining health insurance and pharmacy benefits — like the CVS-Aetna and Cigna-Express Scripts deals, which are now basically completed — is a return to the way things used to be. The bottom line: Lingering concerns over costs and quality won’t slow down the deal-making. Many other major hospital mergers are pending, more local consolidation is expected, and drug companies are sitting on piles of cash, waiting to spend it on M&A. More than 72,000 people died of drug overdoses in 2017. The best-case scenario this year is probably for that number to stay the same. What started with prescription drugs moved on to heroin, then fentanyl, and now the lacing of fentanyl into other drugs, like cocaine and methamphetamine, is driving more overdose deaths from those drugs up as well. The medical community is focused on treatment, and on new ways to limit the use of prescription painkillers, where addiction often begins. That could include new packaging, shorter prescriptions and more targeted doses. But there’s also concern that the reaction to the opioid epidemic threatens access to pain medication for people who have a legitimate medical need for it. Like a piece of modern art, “Medicare for All” means different things to different people. And Democrats haven’t had to settle on any one policy so far. But that will likely change as the 2020 presidential primary heats up. Where it stands: Sen. Bernie Sanders (I-Vt.) popularized the term “Medicare for All,” and though he’s not the first member of Congress to support a single-payer health care system, his bill is the most prominent proposal out there. There’s no conceivable way to outflank Sanders’ proposal from the left — it would cover every service for every American, with no cost-sharing and essentially no role for private insurance. So expect other proposals to be more moderate in one way or another — taking effect more gradually, for example, or giving people a choice between a public program or private coverage.